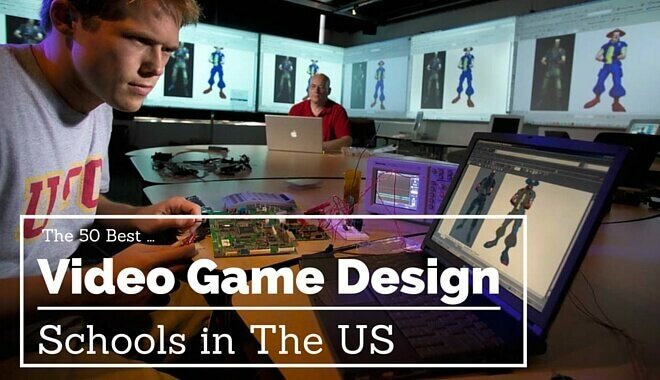 While there is no single best college for game designing, we’ve compiled a list of the what we believe are The 75 Best Video Game Design Schools in The World. From traditional 4-year Universities, smaller specialty schools, game development colleges offering flexible schedules, and even some with online learning options for those unable to attend classes on-campus. Different students have different needs and we want to make sure everyone can find something that works for them. 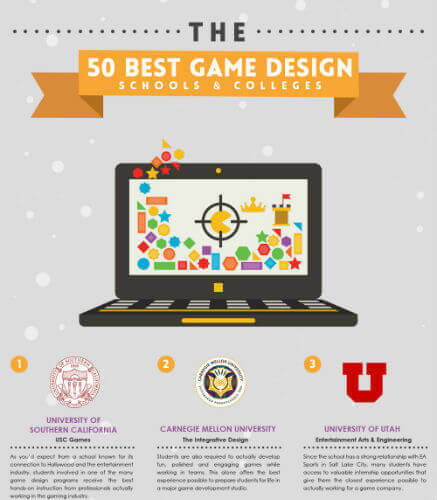 What are the best game design colleges in the world? Boasting four video gaming degree programs, two at the undergraduate level and two at the graduate level, it’s no surprise that the University of Southern California has placed #1 in countless rankings when it comes to game development schools. As you’d expect from a school known for its connection to Hollywood and the entertainment industry, students involved in one of the many college gaming courses receive the best hands-on instruction from professionals actually working in the gaming industry. The University of Utah offers a video game development program that has the art focused students and tech-savvy ones working together to learn how a good product is made. Since the school has a strong relationship with EA Sports in Salt Lake City, many students have access to valuable internship opportunities that give them the closest experience possible to actually working for a gaming company. With support from Nintendo, one of the world’s most recognized developers, DigiPen is the ideal University for gaming if you’re preparing for a career in game development in just about any field. Rochester’s Interactive Games and Multimedia department boasts more than 150 classes given a year and several Game Making and Development degrees, making it one of the most established technical schools for gaming design on this list. Students can expect a unique approach to learning how technology, content, and systems come together to create interactive experiences. The IGM college also runs the Global Game Jam program that invites students to make games while networking with others already working in the industry. Recognized for its achievements by top college ranking websites, Savannah College of Art and Design is top tier when it comes to helping students become the next best game developers. 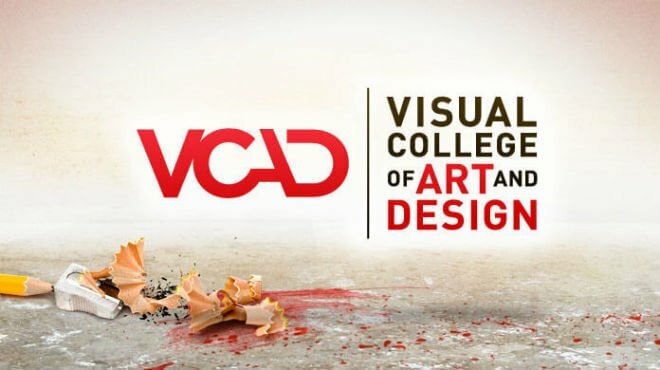 SCAD offers both graduate and undergraduate B.A. degrees that give students the chance to collaborate with industry professionals and use the latest interactive design tools. This is why games from SCAD’s program have won the E3 College Gaming Competition several times. Drexel University is widely recognized as one of the premier schools when it comes to putting the latest technology in the hands of students. Students enrolled in their graduate and undergraduate video game development programs have even won several awards, including top prize at the Adobe Achievement Awards, Microsoft Imagine Cup, and more. The program’s strength comes from both the computer science and digital media departments working together to make sure students learn all there is to know about game development. Rensselaer Polytechnic Institute is unique in that it allows students majoring in “Games and Simulation Arts and Sciences” to also select a second concentration. These include art, computer science, cognitive science, writing, and human computer interaction. Also available are many advanced degree programs that train future game makers in Gaming and Animation, Communication Technologies, and more. New York University’s Tisch School of the Arts makes available several programs for game designing at different levels for future video game makers. This includes a Bachelor of Fine Arts and Master of Fine Arts degree in Game Design, as well as a Minor in game Design. Although MIT does not offer a formal game development degree program, the MIT Game Lab allows students who are interested in creating games to make their own curriculum of study. This gives students the ability to choose different courses based on if they’re interested in design, programming, psychological games, or the business side of the industry. Plenty of narrative-focused courses are available as well for those who want to learn more about storytelling in games. Carnegie Mellon University’s game development program is renowned for its focus on making sure their students learn all the key components that go toward game creation. This includes programming, story and character development, visual and sound design, game engine development, and more. Michigan State University has an impressive number of game design programs available and currently boasts college alumni working for renowned companies like Rockstar San Diego, Microsoft Xbox Team, and Sony Computer Entertainment. Despite being one of the younger schools on this list, Full Sail University boasts a larger curriculum for gaming students than most competing video game development schools. Students can look into a Bachelor of Science in either Game Art or Game Development, or a Master of Science in either Mobile Gaming or Game Design. One of the perks of being a Full Sail University student is the high level of social interaction required during game making courses, giving students vital experience to prepare them for actual game production. A team based project incorporating 12 consecutive courses at the end of the year also gives students a taste of what a career in game creation will be like. Students at Northeastern University can choose from six different gaming related programs– two BFAs, a BS with several optional concentrations, an MS, a Minor, and a college Graduate Certificate. Students also have a chance to work with leaders in the industry thanks to the university’s partnership with companies like Microsoft Game Studios, Tapwalk, Zynga, TEncent Boston, and SAIC Corporation. Few schools compare to University of California, Santa Cruz when it comes to the number of available programs relating to game development. These include a BS in Computer Science: Computer Gaming Design, an MS in Games & Playable Media, and even MS and PhD degrees in Computer Science with a research focus in Computer Games. The school’s Art Department also offers an MFA in Digital Arts and New Media. Additionally, UCSC’s program currently has five game-related research labs being used by future developers. All students are required to complete a year-long capstone project that has them working in teams to create a complete product. Unlike most other schools or video game development colleges, Champlain College allows students to leave the liberal art classes for later and start taking courses in their field. This allows student video game designers to quickly begin learning about every aspect of development, including level design, narrative design, and more. Four different game design degrees are currently available: one focusing on the business side of gaming, two on development and art, and another revolving around mobile application development. Undergraduates at the University of Florida can choose from various degrees offered by the School of Visual Arts and Design that incorporate game development. These include a BA in Digital Media, MFA in Emerging Media, and an MA in Digital Media. Few colleges have the same high level of gaming research opportunities as Georgia Institute of Technology does with their PhD in Digital Media. Undergraduates are offered a BS in Computational Media with a Game Studies Focus while graduate students can earn an MS in Digital Media. With less than five thousand students enrolled each year, Shawnee State University nonetheless sees more than 80% of their graduates find employment in their respective fields within half a year of graduating. Students looking for a game design major with heavy emphasis in computer science will be satisfied by Shawnee State University’s BS in Digital Simulation & Gaming. A Game and Simulation Development Arts degree is also available for students you prefer the aesthetic application of game creation. An impressive number of programs are offered by the Department of Interactive Arts & Media at Columbia College Chicago. These include a BA in Game Design with a concentration in either Development, Programming, or Sound Design, as well as a BA in Interactive Arts & Media. A BS in Game Programming is also available, including several Minor options for Design, Art, and Programming. No matter what their concentration or major is, all students learn the basic principles of making video games. The School of Art, Media, and Technology at Parsons offers a number of programs aimed at giving students the tools needed to not only become excellent game developers but to also use their skills for the betterment of humanity. That is why the school often teams up with groups like Red Cross, Pet Lab, and Games for Change. Complete this short form for a free brochure from the most popular school of the year. DePaul’s College of Computing and Digital Media has several programs available to aspiring game designers, including both a BS and MS in Computer Game Development. The Master’s degree allows students to select a concentration in either Gameplay Programming, Systems Programming, or Game Design. Two minors are also offered in either game design or programming. Students are also encouraged to work on a game that will be submitted to the Student IGF competition via the DePaul Game Experience. Many teams from this school have placed high in the IGDA student competition. Ringling College of Art and Design is particularly recognized for producing some of the best animators currently in the industry, including many who helped create Disney’s Oscar winning fantasy film Frozen. Students interested in a career in designing video games are offered a Bachelor of Fine Arts in Game Arts and Design. Training is also available in all other technical areas involved in development, including computer programming, audio, and storytelling. Worcester Polytechnic Institute’s Interactive Media and Game Development program offers a minor, bachelor of science, and master of science in Interactive Media & Game Development. Students build up strong portfolios during their stay as they take on many project-based classes while learning the game creation process. Aside from game development, every student also gets a taste of other areas of game development such as programming, testing, and project management. Like many of the schools on this list, plenty of Worcester Polytechnic Institute graduates now find themselves working with some of the biggest gaming companies in the industry. Founded by Benjamin Franklin, the University of Pennsylvania is one of the oldest and most honored schools in the US. It also has a several game development courses available ranging from a Minor all the way to a PhD. Becker College is a four-year institution that offers Certificate, Associate, and Bachelor programs across nearly a dozen fields of study. Game design students can enroll in a number of degree programs, including a BA in Interactive Media Design with a concentration in either Game Design or Game Development & Programming. A BA in Game Production and Management Concentration is also available. A Bachelor of Science in Computer Game Science is offered by UCI’s Donald Bren School of Information & Computer Sciences. The degree focuses on the technical aspects of game development while students often work in teams on projects of their own. Plenty of internship opportunities are available to UCI students with the many game companies in the area, including Ready At Dawn, Blizzard Entertainment, and Obsidian Entertainment. UCLA, one of the most competitive and distinguished schools in California’s public university system, offers a Bachelor of Art in Design Media Arts through their Department of Design Media Arts. This degree is one of the best best hands-on programs in the country thanks to the UCLA Game Lab, which is supported by the School of Theater, Film, and Television. The lab incorporates an impressive number of disciplines, including design, animation, music, creative writing, sociology, computer science, and more. Being one of the first Ivy League schools to offer a game design undergraduate degree back in 2001, Cornell has had plenty of time to fine-tune their program. Cornell’s Game Design Initiative established by the School of Computing and Information Science currently offers a Game Design Minor that complements traditional majors such as Art, Music, Computer Science, and more. The University of Texas offers undergraduates a certificate program through three different schools: the Computer Science Department, Radio-Television-Film Department, and College of Fine Arts. Although not a degree program, these certificates look great on a resume as they serve to prove a graduate’s experience and knowledge in a specific area of game development. The Academy of Art University in San Francisco is known for providing some of the best hands on programs that not only train students but also leave them with a valuable portfolio upon graduation. The School of Game Development offers several degrees for students looking to break into the game industry on the art side of development. An AA, BFA, and MFA degree in game Development is available, as well as a BS in Game Programming and an Online Award of Completion in Game Development. Gnomon is a small school in Hollywood that offers a wide variety of certificate programs for students seeking a career in game development. The latest software uses by top game companies are used, including Maya, Unity, Unreal Engine, and Adobe Photoshop. These Tracks include Entertainment Design (one year), Digital Production for Entertainment (two years), Entertainment Design and Digital Production (three years), and the Maya Fast Track (10 weeks). Miami University boasts more than two hundred programs and more than twenty thousand students attending one of their many campuses in America and Europe. Undergraduate degrees offered by the College of Creative Arts are a BA in Interactive Media studies and an MFA in Experience Design. Students also can choose from several Tracks such as Game Studies, Interactive Business, Design, Development, and Arts & Interaction. A Minor and Graduate Certificate are also available. Bradley University makes home to nearly six thousand students and offers 130 programs across a graduate school and five schools, including one of the top video game design colleges. The Department of Interactive Media is responsible for establishing several Minors and Majors that will interest future developers. These degrees include a Minor, a Minor in Interactive Media, a Major in Game Design, a Major in Animation, and a BS in Interactive Media with a Concentration in Game Design. Laguna College of Art and Design is a small school making home to only 500 students and less than a dozen programs. Undergraduates can earn a BFA with an Emphasis in either 3D Character, 3D Environment, or Art. A graduate degree is also offered in the form of an MFA in Art of Game that helps students explore game-making as a cultural art form while learning how to make their own interactive worlds. More than thirty thousand students attend George Mason University each year to enroll in more than two hundred degree programs. The Computer Game Design program established by The College of Visual and Performing Arts offers both undergraduate and graduate degrees. These programs have students learn both the technical and artistic side of development as they work together to create several projects to add to their portfolio before graduation. Pasadena’s Art Center College of Design averages close to two thousand students a year and offers more than a dozen programs. One of them is a Bachelor of Science in Entertainment Design with two Tracks to choose: Character Animation or Concept Design. This college location is also ideal for aspiring developers as Pasadena is near areas like Orange County, Santa Monica, and Los Angeles that make home to several acclaimed studios. Not many colleges for gaming design can compare to Lawrence Technological University when it comes to graduate employment numbers. While the national average of students finding employment by the date of their graduation is between 30% and 40%, 8 out of 10 graduates of this school can expect to have a job ready for them upon finishing their studies. Students interested in a career in developing games can look into a Bachelor of Arts in Game Art and a BS in Computer Science with a concentration in Game Software Development. San Jose’s Cogswell College is an exciting up and coming school offering game design, development, art, and animation courses for aspiring digital designers. In addition to covering the traditional game development subjects, Cogswell offers hands-on training with the industries leading engines, software, and programming tools. They’re also equipped to demo projects in progress immediately in class, giving the students the chance to learn as they create, in real time. For the aspiring artists, Cogswell offers courses centered around popular design programs like Maya, Photoshop, and ZBrush. Our favorite aspect of The Cogswell Game Design program is their Project-Based Learning class titled “Game Studio“. This class aims to replicate the real world by establishing student teams tasked with creating games from scratch. Not only is this an invaluable experience for beginner designers, but it also provides graduates with a functional title for their portfolio. Over 77 certificate, undergraduate, and graduate programs are available to the 6,000 students that attend Marist College. Together, the School of Computer Science & Mathematics and the School of Communication and the Arts make available several different game design degrees. These include a BS in Computer Science with a Concentration in Game Design and Programming and an MS in Computer Science, Software Development with a coursework focused on Game Design and Programming. New to the school are a BA in Media Studies and a BA in Communication– both offer a concentration in Interactive Media & Game Design. The Otis College of Art and Design in Los Angeles is home to more than a thousand students and offers more than a dozen programs related to art and design. Students looking for an artistic role in development can receive a BA in Digital Media with an emphasize in Game & Entertainment Design or a Minor in Digital Media. Nearly 250 programs are on the menu for the 30,000 students enrolled at Indiana University-Purdue University Indianapolis. Undergraduate students can earn a BS in Media Arts and Science with a Specialization in Game design and Development. A five year program is also available in the form of an MS in Media Arts and Science with a Specialization in Human-Computer Interaction. Students involved in either program will learn the fundamentals of digital storytelling and design. The Digital Animation & Visual Effects School is a small facility located on Universal Studios Florida’s backlot. Students can earn a Diploma in Game Production after a 15-month program that involves courses like Game Production, Game Engine Fundamentals, and Animation Fundamentals. The New York Film Academy has campuses all over the world, including Europe, Asia-Pacific, and the Middle East. According to their website, only the Los Angeles and South Beach campuses offer several programs for aspiring students. These include an AFA, BFA, and MFA in Game Design. A one year non-degree Game Design Program is also offered at both the Los Angeles and New York campuses. Woodbury University offers its 1,500 students more than 20 programs to choose from across three different school. Aspiring game designers can look into the BFA in Game Art & Design provided by the School of Media, Culture and Design. This degree program lets students choose between two emphases, Game Art or Game Design. Both studies bring together several aspects of game development, including sound design, narrative development, design, animation, and art. The University of Denver offers more than 220 degree programs across eight colleges and schools, including a graduate school. It averages an attendance of around 11,000 students a year. There are several degrees on the menu for students interested in developing. These include one minor, two BAs, two BSs, an MS, and even a PhD. The Art Institute of California in San Francisco is part of a system of more than 50 schools across North America. Several Creative and Applied Arts programs are available for both undergraduates and graduates are offered. This young, acclaimed school offers several programs in the area of Game Design and Animation across their seven college campuses in Australia and America. Among these two year programs are an Advanced Diploma of Professional Game Development (Game Art & Animation) and Advanced Diploma of Professional Game Development (Game Programming). Like the San Francisco Campus, the Art Institute of California in Los Angeles offers two video game design degrees: a BS in Visual & Game Programming and a BS in Game Art & Design. Both campuses are great in that they both sit in cities serving as a hotbed for successful development studios. Los Angeles is home to industry giants like Activision, EA, Sony, Naughty Dog, and many more. Part of the State University of New York system, Stony Brook University is made up of 13 colleges and schools that together offer more than 200 different degrees of varying levels. The Department of Computer Science makes up most of the College of Engineering & Applied Sciences and offers students interested in game development careers a BS, MS, or both in Computer Science with a Specialization in Game Programming. Also available is a CSE Minor. The first school in the US to offer degrees, the maryland Institute College of Art offers nearly 2,000 students more than 80 degrees of varying levels. The BFA in INteractive Arts + Humanistic Studies program features several courses involved in game development, including Experimental Games, Drawing I and II, Electronic Media & Culture, Gameplay II/Digital Games, and more. Edinboro University is home to less than seven thousand students but offers more than 135 degree programs in 100 areas of academic study. These are spread across five different schools and colleges. A BS in Computer Science with a Concentration in Game and Virtual World Development is available for students looking to receive an education that involves the technical side of game development. VCAD offers a Game Development and Design program—and the school is right in Canada’s game dev hotbed. The Vancouver Film School is, obviously, based in Vancouver. The School offers a diploma in Game Design (replete with a “professional quality online portfolio). This is a standout program because of its unique focus on you and how self-improvement can contribute to greater learning through the CDM project courses. SCAD offers accredited Interactive Design and Game Development degrees. The program is offered in Atlanta, but it’s also offered internationally. You can take both programs in Hong Kong (as well as online). They offer the programs as undergraduate and graduate degrees, so they’re options no matter where you are in your education journey. Sheridan College, based in Ontario, offers a four-year Game Design degree program. You’ll focus on lab projects, simulations, and case studies—these will provide “applied, real-world skill development” over the course of the program. The University of Bolton is in the town of Bolton, which is close to Manchester and Liverpool. The school offers a Game Design program, as well as programs in Games Art, and Games Programming. The university boasts staff members that “actually play games!” (and includes industry experts, too). The program includes critiquing sections to help you refine your ideas with the help of your peers and instructors. Abertay University offers a program in Game Design and Production. It’s one of the only universities outside of the US to rank on most lists of top game creation schools. Graduates have scored jobs on AAA console projects, independent projects, mobile projects, and more—and some have found their way into starting their own companies. “In team environments modelled after the video game industry, you’ll explore all areas of video game design and development for mobile, PC, web and console.” This includes everything from creation, to programming, to marketing games. Game Design is the major, but the umbrella program is Communication & Multimedia Design. We’re focused on the latter two! Singapore, specifically, offers in a BA in Game Design. The DigiPen Institute in Spain offers a BFA in Digital Art and Animation, and a BS in Computer Science in Real-Time Interactive Simulation. The full details can be found on the 3D Animation for Film and Games Diploma page. The college is located in Toronto. So it has something for everyone, no matter where in the industry you’d like to eventually find work. Also, VanArts has partnerships with other schools around the world. These partnerships allow you to get an undergraduate degree in as little as one year after you get your diploma from VanArts. U-tad is located in Madrid, Spain. U-tad is part of the PlayStation First program, which means you can develop projects on Sony platforms (if you want!). You’ll study everything from narrative, to mechanics, to level design. The Media Design School “is New Zealand’s most awarded tertiary institution for creative and digital technology qualifications.” The school offers programs in art, 3D animation and visual effects, programming, motion graphics, and more. While the primary location is New Zealand, the Media Design School has locations in Australia, Thailand, the US, and more. They also have Masters programs teaching creative director skills and production skills. You’ll learn the technical skills and the “sense of strategy” needed to succeed as a video game designer. The Academy of Interactive Entertainment has two campuses in the US (Seattle and Lafayette), but four campuses in Australia (Adelaide, Canberra, Melbourne, and Sydney). And they offer online studies as well. If you’re not sure whether you want to focus on Gaming and Design or Design and Animation, you’re in luck—the first year of both programs is the same at Noroff. You’ll also learn about the gaming industry itself—from the history of how it started to how it got where it is today. You’ll develop proficiencies with industry software—Zbrush, Unreal Engine, and 3D Studio Max to name a few. In order to apply for the program, you must meet the eligibility requirements. This includes a degree or diploma from an accredited school in a creative field (like animation, photography, fine art, graphic design, etc.). They’ll also consider you if you have relevant work experience or postsecondary education. There are portfolio requirements as well—all of this is provided in greater detail on the Art and Animation program page. CDI College offers a Game Development and Design program at two of their locations (at least)—Ontario and Alberta. And a lot more. At the end of the program, you’ll have an “industry-standard portfolio” to showcase on your hunt for a job. The Autograf school is the self-proclaimed “school for future creators,” and is based in Paris, France. Do I really need to attend one of these game designer schools? No, of course not. However, earning a degree from one of these game development colleges will help you take that next step more than most other schools with game design programs. But in the end, your success will come down to your effort, attitude, and focus. What if I can’t afford college right now? No worries, start learning game engines like Unreal and Unity while saving up for school. Presenting a strong portfolio of your work can sometimes help you more than a game design degree. What about Online Game Design Schools? The good ones are a great resource, but beware of the many ineffective ones. Look for development programs that offer hands-on experience and hold their students accountable. A game design degree doesn’t mean much if you haven’t actually learned anything. What skills do game designers need? 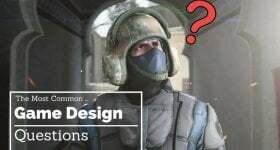 To be a developer, you need to want to be a gaming designer! The first step comes from you, and your creative motivation to design games. As long as you love to create, and have interest in gaming, you can build the skills to become a designer. After establishing your interest, you can begin to build skills in programming, visual design and drawing, awareness of the various gaming platforms, as well as communication and presentation skills. Building skills comes from practice, a lot of which one would build while attending a college for game design! 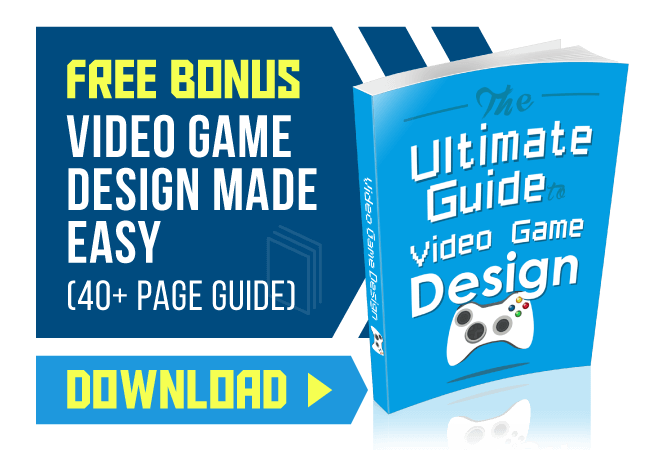 Learn more about video game designers here. How to choose the right college for you? Choosing the right game design college for you requires taking into consideration many different things. First and foremost, the university should have the program you’re interested in! If you want to be a designer, a college without a computer engineering or programming major may not be right for you. You can also consider how far away from home, the size of the college, and what kind of extracurricular activities you want to do. All of this can be learned with a little research, as well as by taking time to visit the colleges you’re applying to. How to get the most out of you college education? Getting the most of your education at the gaming school you’ve chosen is up to you. You have to put in the effort! Colleges about gaining an education, so make sure you go to class, and are attentive in each of your classes so you can learn as much as you can in your (approximately) 4 years at college. Take good notes! Schools for game development are about more than just going to class! You can get a lot out of your college education by participating in extracurricular activities – for example, you can take a computer programming class and also help out a club on campus by creating graphic designs for them. You can make connections with other gaming development students while at school by joining clubs! How to research university professors? You can research professors in a few ways. One easy way is simply Googling them! If you learn the names of the faculty that run the design department, a quick Google search will tell you where they have worked in the past, their specific responsibilities at the university, and some of the research they’ve done. Rate My Professors is also an excellent option, as this website includes testimonials from students who have had that professor before! If you’re able to contact current gaming school students, they’ll be a wealth of knowledge on professors at their university. Lastly, you can learn about professors by visiting and meeting with them, or sitting in on their classes. Many professors are happy to chats with incoming students, so you can get a better idea of what life is like in that major and at that college! How to find college scholarships? College scholarships are everywhere! If you’re applying while still in high school, it’s likely that your guidance counselor’s office will have a lot of resources for scholarships for you. These scholarships are also likely local or just limited to students of your high school – the applicant pool being smaller means higher chances for you! You can also look into scholarships at the universities you are applying to. Some schools will automatically consider you for scholarships upon applying, while others may require you to write an extra essay or complete an interview. And lastly, the internet! 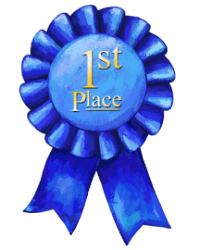 Websites such as fastweb.com and collegescholarships.org are excellent search engines for scholarships, and there are many more great ones out there. Do colleges provide the software & tools I’ll need? This will depend from college to college, and is something important for you to research before deciding to attend a school! Many colleges have computer labs that house computers equipped with the proper software and tools that animation and development students need, and some also provide different ways for students to download programs onto their computers (for free!) that they may use. This heavily depends upon what kind of program you’re thinking about, and upon the college! For example, some universities offering video game design give their students free Microsoft word but may require students to visit computer labs for different, more expensive programs. If this is an important concern of yours, make sure you talk to those in charge of your major so you know exactly what will be provided to you. Do I need to take computer programming classes for game design? Computer programming classes are definitely recommended for a career in video game design. In order to understand what you can do, and what is physically possible in the realm of game creation, it’s important that you have a basic understanding of programming and computers in general. You may not have to program an entire video game on your own, but you should understand how they work and how they interact with computers and gaming systems to understand your field, and what you’re asking of programmers! The above list was formed with the help of reputable educational resources dedicated to providing knowledge that will help students choose the perfect educational institute for them.